Reading these, soaking the verses in, letting the feelings travel deep within the veins, one gets the impression that perhaps you are reading works of philosophical poets of different languages and genre, these are in fact works of a single poet, and again not an old cynical philosopher or a famous poet, these gems are penned by an unassuming multilingual poet, who hails from the holy city of Amritsar, a city steeped in culture and eventful history, rooted in a business family, Gurpreet Singh Rana is a wordsmith of Punjabi, Hindi, English and Urdu. His early education was from Saint Paul's School, Lucknow, followed by Saint Francis School, Amritsar; thereafter he completed graduation from Punjab University, Chandigarh. Among other subjects, he studied English literature and Psychology during his graduation, which certainly has honed his writing skills. Born in a business family , it was natural for him to carry forward the family business of manufacturing and supplying various goods to the Indian Army, that has not deterred his other interests which include writing, music, numismatics, reading, cooking, designing and Yoga. 1. Considering the fact that you are businessman and were brought up in a business family, what drew you to poetry and writing? Let me rephrase the question, the way, Guru Nanak’s father had given him some money with instructions to go and do some business and when Nanak returned home, he was asked, what did you earn? Likewise, what do you earn out from your poetry and writings? 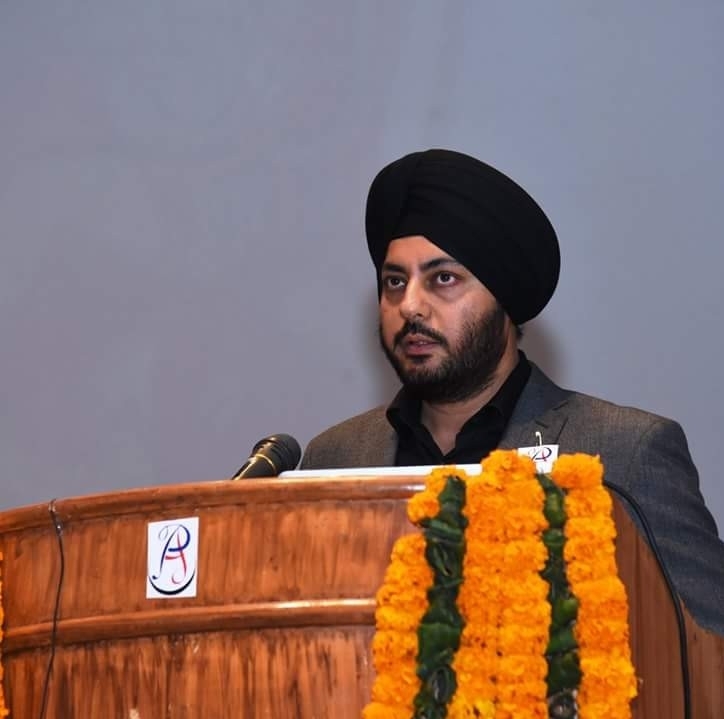 Gurpreet Singh Rana : The anecdote which you quoted is from Guru Nanak Dev ji’s life is called ‘Sacha Sauda’ which translates as the bargain of truth. This is an exemplary story with a great moral for all of us. Upset that Guru Nanak was not showing any interest in farming or other worldly matters, his father Bhai Mehta Kalu ji assigned him a task of doing business with twenty rupees, substantial sum then. Soon after setting off from his village, he came across a village which was full of needy people. Concluding that there can be no business more profitable than feeding the needy, Guru Nanak invested all the money to feed them, thus began the Sikh tradition of “Langar” wherein we feed anyone who is needy irrespective of his faith and creed. Sharing with the needy is what makes the day of a Sikh. 1914, 1939, 1947 ,1984, 2001.
their tribe keeps on growing. 2. Have you ever attempted blending poetry and writing with your business, say for instance, employing creativity in a design or a presentation that uses poetic devises? Or how about employing business skills in writing and poetry, like say writing a sonnet with mathematical calculations or using the idea of discounts and sales to promote a work? Gurpreet Singh Rana: Life is the most accomplished teacher. Though I have always strived to keep business and poetry apart, but yes, your work and your day to day experiences do teach you a lot and these help you in honing your writing and other skills. Calculations and poetry never go side by side, and believe me I was never a good student of mathematics. 3. You write in Punjabi, Hindi, English and Urdu as well. Which language comes to you on impulse when you write? Do you have to channelize your thoughts and feelings when you are inspired? Does it vary with genres, like if you are writing something abstract and spiritual, it will be in Punjabi or if you are thinking of a love poem, you switch to Hindi and or if it is some social awareness subject that has your attention, the language the thoughts flow in may be English? How do you choose the language to write a poem or does a poem choose its own language? Gurpreet Singh Rana: It always depends on the subject. But yes, I like to experiment. To venture out somewhere, which has been unexplored is a thrill; it stands true even for poetry. I would like to cite example of my recent poem Sundra which is in the form of a sonnet. It was published recently in Mytho- Manthan, an international bilingual anthology. Make me thy own Puran, love is God sent. My blood on thy hands, will verses adorn. 4. The social media today, is both a boon and a curse on creative writing and poetry? Everyone can be a poet today and everyone is publishing, not just that, even print publishing is much easier with easy access of publishers to amateur poets and writers? Where do you see yourself in this? Where all have your works been published? Have you been choosy or do you willingly offer your works for publishing anywhere? What drives you to publish your works? How do you rate the response on social media and elsewhere, does it spur you to write more and publish more? Gurpreet Singh Rana: The social media continues to play a great role in promoting aspiring writers and even honing the skills of writers and poets, it has indeed provided a launching pad for many aspiring poets. Though I started writing way before the upsurge of social media, but it did play a major role in showcasing my writing. It was through Facebook that I met many like minded poets and writers. One group on Facebook which I would like to mention is “Poets Artists Unplugged” which is doing great work in promoting art and poetry. My work finds place in magazines like, Delhi Press (Sarita, Grahshobha, and Woman’s Era fame), Kaksaad, Parinde and many more. 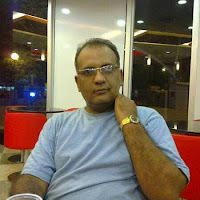 Online publishing sites like sikhnet.com, tuckmagazine.com, tallenge.com, highonpoems.com, ghazalpage.com etc. have featured my work. My poems have also been published in anthologies like ‘The Colors of Refuge”, “Anthology of poems on World Refugee day 2016” and Mytho Manthan. I agree that there is a mad rush of being published but at the end of the day, it is the quality of your writings which matters. I know many sites which publish your work at the drop of a hat but that do not help you in the longer run. Write well and the publishing part comes naturally. 5. Impressed by your ability of being multilingual, I would like to ask you about your views of linguistic scripts? I admire the fact that you can write not only in Hindi and English but also in Gurumukhi and Urdu, all these languages require intimate knowledge about different scripts. Speaking of scripts, where is the future of Gurumukhi and Urdu script headed? Very few today can read and write other scripts? Gurpreet Singh Rana: Vernacular is the medium in which we communicate. Can we ever distance ourselves from our roots? Parakrit, Sanskrit, Urdu, Punjabi and other regional languages are a part of our day to day lives. If you want to reach the masses, communicate with them in their language. I agree that the use of regional scripts has declined, but literature is immortal. It never dies. This is where the role of poets and writers comes to the fore. The onus is on our tribe to not let these languages die. We must support, uphold and promote regional languages. 6. How supportive are your family and friends in your literary pursuits? Who do you look up to for support, guidance and maybe inspiration? Gurpreet Singh Rana: Friends and family have always played a great role in my life. A person imbibes values and teaching from the family first, it is the same with me. My elders and legacy have always inspired me. 7. Your poems in various languages have been published in number of magazines and anthologies, have you considered publishing your own poetry book? In which language will you publish first? What would be your aim if you do publish? Gurpreet Singh Rana: Certainly. Concurrently I am working on two books, one is a book on ghazals (trilingual: Hindi/Urdu, English and Punjabi) and the other is an anthology of my poems. Hopefully these are the books which I will be publishing soon. My aim is simple; it is to reach the masses thorough meaningful poetry. 8. Since you hail from Punjab, in the contemporary sense, poetry by a modern Punjabi man is kind of uncommon, yes I know Punjab is home to brilliant poetry, if I mention men only, we have masters like the Sikh Gurus themselves and the Sufi masters like Baba Farid, Sultan Bahu and Bulleh Shah, brilliant male poets in Faiz and Shiv Kumar Batalvi in the twentieth century, however in this century and the last two decades have thrown up mostly the loud, brash Punjabi pop and rap culture only. The Punjab of yore of rich folklore is muted in heavy consumerism, loud sells. Where and how do you think, should a revival of Punjabi poetry take place? There is so much to pick from in the rich Punjabi heritage, why is Punjabi poetry lacking then to find recognition? We seem to have to been stuck on the glory achieved by Amrita Pritam and Batalvi. Gurpreet Singh Rana: Punjabi is a poetic language. Gurumukhi as we call it literally means coming from the mouth of the Sikh Gurus. We had Sufi poetry in Punjabi and as you say modern poetry too. Punjabi language is young but nevertheless rich and growing. Stagnation and pollution are the issues which all languages face. Punjabi is no exception. There is a dire need to expose our youth to our literature and heritage. As I said earlier, the onus lies on us. The writers and lyricists need to take a note. Loud and brash may sell but is short-lived and it does have ill effects on the youth. I have had the good fortune of meeting some contemporary Punjabi poets, the ones who write with great substance and that does give a hope that all is not lost. The torch bearers are doing their work zealously. 9. The never ending debate about free verse, prose poetry and structured poetry continues unabated? In your writings, it is a pleasant surprise that you experiment freely, be it an English Ghazal or a sonnet or a Haiku, you are equally adept at blank verse. Which is more challenging to you? How do you plan to write a structured poem, say a ghazal, do you first write and then fit and adjust or do you follow templates? Gurpreet Singh Rana: Poetry is something which comes naturally. The structure is never primary, the essence is. If you force it out, it would not classify as a poem. And it would also not be a poem if it does not appeal to a reader’s senses. I never plan to write before hand, unless writing on some prompt. I have never followed templates. But yes, I do follow the rules when writing structured poetry, like a ghazal would not sound good if the radeef, kaafiya, beher etc. are not there. Likewise a sonnet would sound absurd if the meter and rhyme is not followed. Blank verse is one where one can experiment. I derive joy in writing all forms. 10. Who are your favorite poets in Punjabi, Urdu, Hindi and English? What inspiration do you draw from them? Gurpreet Singh Rana: There are so many. I have been a voracious reader always. IN English, I love reading, Keats, Milton, Shakespeare, in Urdu poetry my favorites are Ghalib, Meer, Zauq, Premchand and Harivansh Rai Bacchan in Hindi and in Punjabi I love reading Guru Nanak Devji, Faridji, Bahu and Shiv Kumar Batalvii. A decorated and War wounded veteran, single parent to two daughters and two dogs, Shyam is an avid birdwatcher and nature lover. He holds a Master’s degree in English Literature. Published in number of anthologies and magazines in India and abroad, such as Setu, Poetry in the Park Collection No 3 - A New Ulster Poetry A poetry collective in Athlone, Ireland, Lakeview Journal, Camel Saloon, Mad Swirl, The first cut, Earthen lamp journal, Episteme, Hans and more. Shyam was a Guest Poet at Fermoy International Poetry Festival at Ireland in August 2013 and the event coordinator of the Delhi Poetry Festival 2014. He runs a dynamic Poetry and Art Group on Facebook, by the name - Poets, Artists Unplugged.